Facebook and Wowza team introduced a new streaming Appliance ClearCaster especially designed for Facebook Live streaming videos. Clear Caster is the Wowza first hardware device dedicated to streamers and Broadcasters of Facebook Live. 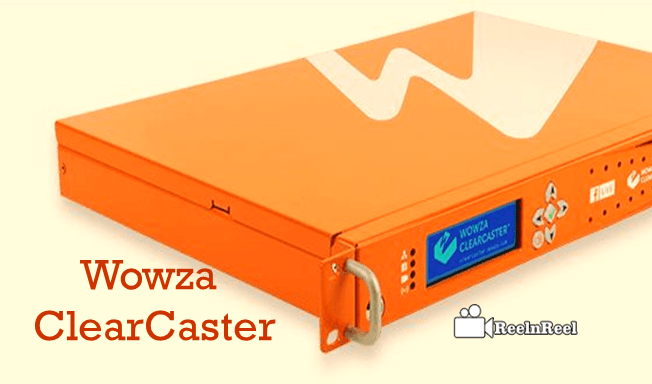 Features of Wowza ClearCaster are addressed here. Wowza ClearCaster comes up with a tagline “connect with Confidence on Facebook Live”, is Facebook new Live API for the streamers. ClearCaster specially designed to give an easy way of streaming reliability on Facebook Live and to provide professional experience to the users to communicate and engage board meetings and other events on Facebook Live. Wowza Clearcaster allows the most advanced professional way of communication and easiest way of delivering high-quality standard streaming capability to broadcasters and streamers through Facebook Live. Many companies have done on research work about ClearCast which can automatically adjust streaming settings and optimise uptime and high-quality video settings. It is capable to see the Live reactions of the audience directly, so you may react to their comments and connect directly to live. You can operate start and stop of Facebook Live on the Facebook live interface only. ClearCaster Appliance can be operated through the web app. Wowza ClearCaster is a Box which including USB ports, connect a camera directly, connections made via HDMI and SDI ports, portable and rack mountable device. It comes with an integrated clock that delivers countless streaming eliminating the pauses in the middle and has a capability of watching what exactly the followers are seeing. ClearCaster is purposefully build for seamlessly enhanced Facebook Live API, real time stream health monitoring from your Facebook Accounts. Wowza ClearCaster is a powerful device to which can allow reliability, automation on streaming setting and high-quality 4k UHD video streaming capacity. The above is a simple guide to Wowza ClearCaster and it’s beat features for streaming on Facebook Live.